‘Business Incubation Centre’, an initiative of ED Club was inaugurated by Mr Sunil Kumar, Asst Deputy Managers, DIC Kasaragod. It is an initiative of ED Club along with the support of Department of Management Studies and District Industrial Centre, Kasaragod. The aim of this centre is to provide a platform to the students and the people of our locality to start new ventures using the facilities available at the Centre. The centre will provide basic infrastructural facilities like Computers with internet facility, consultancy services, financial availability, project preparation, marketing, accounting skills, soft skills etc. The District Industrial centre would also provide all possible help to the candidates who register in the BIC. The ED Club Coordinator welcomed the guests and the Principle in Charge Dr. KK Anil Kumar gave the presidential address. Mr. Biju Joses, HOD, DMS, Mr Shino P Jose, Staff secretary, Anuraj, Chairman and Vishnuprasad, ED Club president spoke on the occasion. A One day seminar was organized by the ED club of our college, commemorating the World MSME day on 27th Jun, 2018. 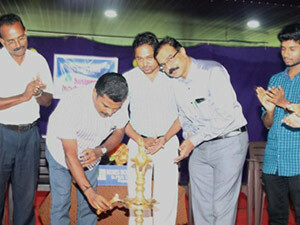 The Seminar was handled by the team from District Industrial Centre, Kasaragod, with Mr. Ashok N leading the Session. 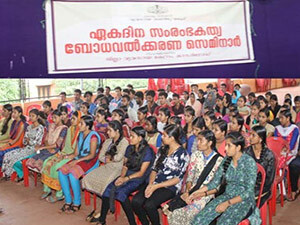 100 students from various departments participated in the session. The seminar was highly useful to the students. The session highlighted the need of entrepreneurship in our country, the method of starting a new business and facilities provided by the Government to encourage young entrepreneurs.